The study, which was skipped last year, had ranked Arkansas fifth the previous two years, but those scores included policy-related indicators such as “standards, assessment and accountability.” This year’s study focused more on outcomes-based indicators – K-12 achievement and “chance for success” – along with an analysis of school financing. 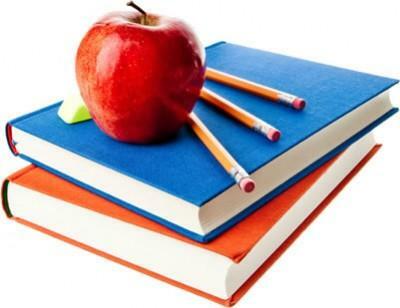 Arkansas ranked 37th in K-12 achievement, earning a D+ compared to a national average of a C-. The index graded states on 18 measures. Arkansas did well on achievement gains in fourth grade math (11th), eighth grade math (5th), and fourth grade reading (16th). It ranked poorly in other areas, particularly the growing gap between eighth grade math scores of lower-income versus higher income students, where the state ranked 47th. Arkansas ranked 46th in the “chance for success” category, which includes measurements covering an individual’s lifetime, many of which are not directly related to the current education system. For example, the state ranks 50th in the percentage of children coming from families with incomes of at least 200 percent of poverty (44.3 percent), 50th in adults with incomes at or above the national median (40.9 percent), and 50th in its percentage of adults with a two-year or four-year postsecondary degree (28.6 percent). The state ranked 45th in its percentage (46.6) of young adults enrolled in postsecondary education or with a degree. The state ranked 28th in school finance, its best category. The state was 14th in spending on education as a percentage of the state’s taxable resources and 18th in the disparity in spending across district lines. The state ranked ninth in the study’s early education index covering pre-school and kindergarten classes. Forty-eight percent of Arkansas’ 3-4-year-olds are enrolled in preschool or kindergarten. Arkansas ranked 24th in its percentage of 3- and 4-year-olds in preschool and in its percentage of eligible students enrolled in kindergarten. Forty-four percent of the state’s preschool students are enrolled in private programs, compared to 13 percent of kindergarten students and 11 percent of first-graders. Arkansas was first in its percentage of students in preschool who are enrolled in full-day programs. It ranked 44th in the growing gap in preschool enrollment between lower-income students and other students. The study found that 64 percent of 3-4-year-olds from households earning at least $100,000 a year are enrolled in preschool, while only four in 10 students from households with incomes below $20,000 are enrolled. Officials from the Arkansas Department of Education are recommending a state takeover of the Little Rock School District, while district leaders made the case Wednesday that they are taking steps to correct problems. It was the first in a series of meeting taking place this week. Currently six Little Rock schools are categorized as being in academic distress. The state can take over the district if any school is in academic distress. Attorneys in a longstanding Arkansas school desegregation case have filed a motion agreeing that special education in the Pulaski County Special School District is "unitary," or substantially desegregated. The motion was filed Monday in U.S. District Court in Little Rock by attorneys for the district and others in the case. It asks that a federal judge grant an order that the Pulaski County district is unitary in special education.